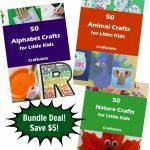 I was very lucky to receive some amazing craft supplies from craftprojectideas.com and we used two of the supplies for this activity. 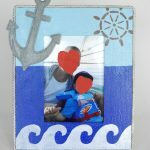 I bought some $1 photo frames with plain edges and used painter’s tape to block out the central window. 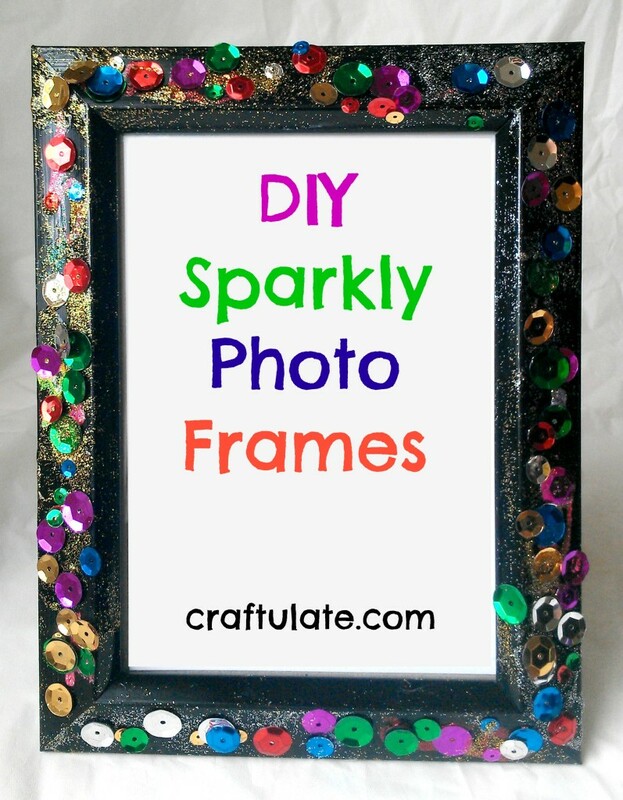 I took the frames, some neon glitter glue and some sequins to a crafty playdate with the fabulous Lalymom. 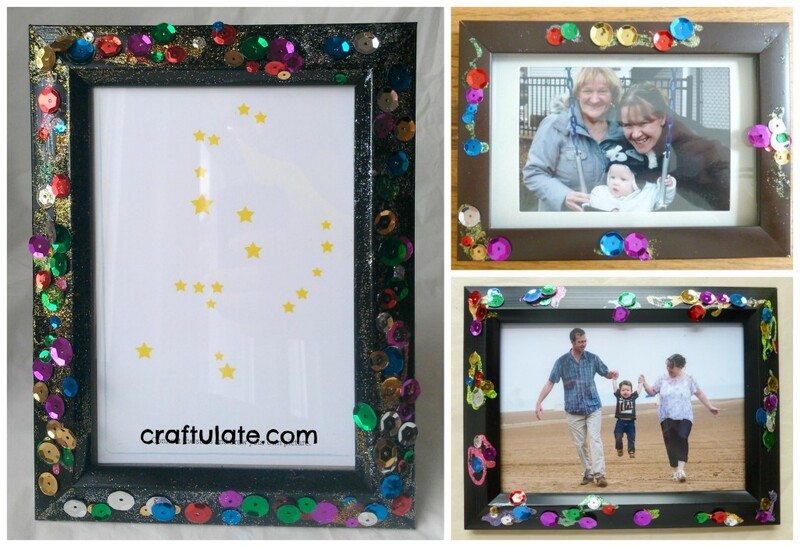 We showed her daughter (3yrs) how to add glue to the frame then sprinkle on the sequins. 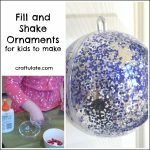 She also enjoyed spreading the glitter glue around with a brush and dropping the sequins from a height to see which ones stuck! For F (2 yrs) I squeezed the glue on for him and then he added the sequins. Picking up and placing the sequins was great fine motor skill practice! Any dabs of glue that weren’t covered in sequins left a glittery shimmer. These were our finished frames. 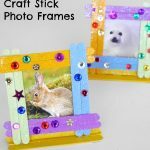 These frames would make great gifts and this craft can be done by children of a variety of ages.